She holds court as one of the most respected, celebrated and inspiring female surgeons in Atlanta Georgia, running a successful OBGYN surgery and founder of the life changing 50 Shades of Pink Breast Cancer Treatment Program in the South. 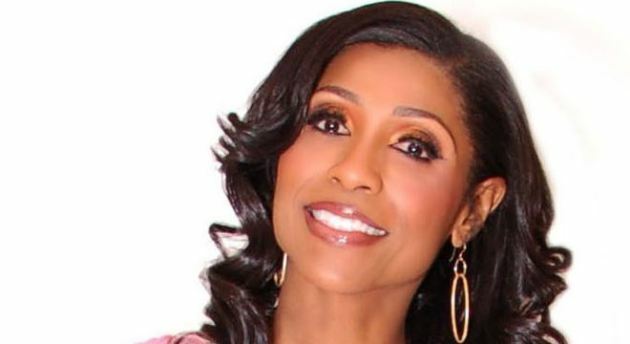 Her name is Dr Jackie Walters and she is a combination of empowered career woman meets chic, sophisticated and downright super fly doctor, wife, mother-figure, friend and reality star on one of Bravo TV ( US) most intriguing shows, Married to Medicine. About to head into its third season, the show, which centres around the very busy professional and social lives of Atlanta’s medical community, its doctors and the women married to it, has created a legion of loyal fans who return to watch the shows seven leading ladies as they balance the often challenging and socially political world of the medical community with often fiery outcomes. Dr Jackie, the show’s most charming, insightful, respected and best dressed star doesn’t play into the drama of the social side of the show and is very serious and authentic about her portrayal dealing with real life pregnant patients and breast cancer issues. It is in the sensitivity and power of these two life altering aspects of medicine that Dr Jackie comes to life, with her knowledge, professionalism and undeniable care for her clients pours through the screen. What you are immediately struck with when first watching Dr Jackie on screen or lucky enough to speak with her on the phone, is her genuine and calming nature. She is engaging and informed, sharp witted and fashion forward, having earned the nickname of “Dr Diva” on the show, the well-heeled and stylish obstetrician is ahead of the game in the looking good stakes, and is often overheard telling cast members and patients alike “If you look good you feel good”, which is one of the main drivers behind her 50 Shades of Pink foundation and her Wow Aesthetics Medical Spa run alongside her premier OB/GYN practice. As a two-time survivor of breast cancer, Dr Jackie knows full hand the trials and tribulations her patients go through at each stage of their diagnosis and regardless of the outcome, she maintains positivity and encourages her patients to always look good, take care of themselves inside and out and it is this attitude that has made her a relatable and necessary asset to the shows continued success. 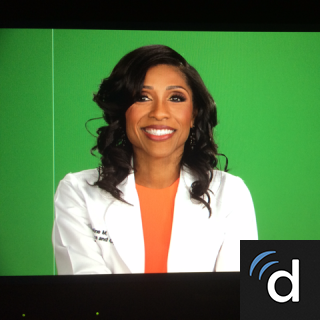 As Married to Medicine ( available on ITunes Australia ) enters into its third season, I am told to brace for more impact as Dr Jackie and her cast mates tread down variable paths in their lives on camera. Yes there will be drama, yes there will be fire, but there will also be triumphs, personal successes and lessons learnt for this powerful group of medical muses. I for one feel truly blessed I got to speak to the one lady who brings the real, the class, the integrity and the honesty I am drawn to in this exciting show and for that I thank Dr Jackie Walters for her time in sharing her inspiring story with us thus far ……. Hi Dr Jackie, such a pleasure to speak with you – How are you and how is life treating you? Hi Maxine, great to speak with you too and thank you for having me this morning. You know I am really good, very busy and just blessed. I am celebrating surviving breast cancer 11 years from my first diagnosis this month so I am having a wonderful time. Where do we begin – Married to Medicine – wow!! What an insightful, raw, eye opening rollercoaster ride of a reality show this has been! How has your life changed since becoming a part of this show? Oh you haven’t seen roller-coaster ride Maxine till you see Season 3 let me tell you (laughs). Maxine there are not enough hours left in the day for me anymore (laughs) because of course I always make time first and foremost to my family and then of course to my medical practice. I love doing what I do, I love the patients, most of them anyway (laughs) in that I am in the office and need to turn off from everything else in order to do the show. Ordinarily my day in itself is around 8-10 hours and then we add filming and family into that and I have a pretty full day with about 4 hours left to eat and sleep somehow. Dr Jackie, I have to admit I have been a supporter, fan, cheerleader of yours from the start lady. You carry yourself with a poise, grace and regal air that, can at times become quite polarizing to see you in scenes that are anything less than what your role and character deserves at times. For fans of the show in Australia your relationship with your patients, the ladies in the show and your family are always approached and treated with care, love and respect regardless of the drama that could be unfolding around you. How do you always manage to stay intact and calm when tensions arise? That’s a good question….. you know I really think on the ‘who I am’ came about after the whole breast cancer twice thing and I really feel that life is so much more important than all the emotions that came along with day to day drama and I just learned that everybody needs love and that everybody has something going on in their lives that makes them act the way act. So I just always like to give back, for example, if there’s a confrontation I always feel that if I speak softer then that can make the situation less tense you know. It’s a learned behaviour because let me tell you I did not come from a family of quiet speakers ok (laughs) and it works so much better for me in helping me control my emotions better and I really don’t allow my emotions to control me. What made you sign up to do Married to Medicine? What do you think makes this reality show different from the rest in terms of the overall message it relays to its audience? The crazy part of reality TV is that everything we go through on the day to day is all real, people always ask me if the drama and medical situations we deal with are real and I am here to confirm that yes they are. The funny thing about it is that most, if not all of us, have gone through or go through these issues with our own families all the time off camera, we just don’t get paid to show it ( laughs). The initial approach to me in the beginning was there are a group of women in the medical community that are married to doctors, they don’t always understand what the lifestyle is about being married to a doctor so who could better help a woman married to a doctor than a woman who is a doctor. So I said ok, we can do this, we as in my husband and my office team, and sat on that thought for about a year thinking, mmm I’m not going to do reality TV (laughs). Then the producers then said to you can be like a mentor to these women and their lives and I was like ok I like the mentor thing, this is something I can do. Maxine, Maxine, Maxine, that was the okey-doke line got me (laughs), and so I went on the show and tried to be the nice, caring, helpful woman giving guidance to these married ladies, and little did I know it was going to be a lot more than that and here we are, you know, taping the third season. Initially I wanted to walk away as I was thinking this was not and the producers kept telling me not to worry that the audience was going to see the real me so I stuck in there and here we are three seasons later (laughs). You are an OBGYN doctor with a very busy practice, you are delivering babies all the time and also providing care and treatment for woman suffering from breast cancer in every stage of their journey. These two procedures in themselves are extremely sensitive and intense experiences to be involved in on a daily basis and it is in sharing your own personal experiences in both these areas that really exposes the authentic and personal side of Jackie Waters in Season 2. How do you find the strength to push past your own feelings every day and give your patients the attention they need? Because I don’t think we were placed on this earth to make life just about us okay, because that would be kind of selfish if that were the case. I always try to give back to women who are affected or are in the journey as I was and if I didn’t do that well that would be the definition of selfish. I mean this year alone we have lost 4 ladies who were a part of my 50 Shades of Pink organisation, three of whom were mothers to young kids, some of them babies even, so for me, just seeing their lives change losing their mothers stays with you forever. I remember doing a makeover for a lady who passed from cancer the day after, because remember we are all about looking good to feel good, and just seeing her smile as we put on her makeup, knowing she was looking her best at that time, when she passed and closed her eyes, and you saw that eye shadow colour on her eyes, even as she gasped for her last breath of air, she looked good doing it and that is an image that will forever change my life. I am firm believer than anything you learn that you don’t teach somebody, then you learnt it in vain so I am all about helping others as much as I can. What’s next for Dr Jackie and your medical practice, reality TV career? A new season of the show, your own projects and businesses – what do you look forward to achieving most in this lifetime? Well let’s talk about Season 3 and what’s in the pipeline for the show. We each have a story line as usual, with mine being more about positivity and life changing events which hopefully my path will shine a light on somebody’s life out there and make whatever they are going through a little better, but the overall show this season is definitely drama filled, let me put it this way, people who were friends last year may not always be friends this year and I’ll leave it at that. There will some life changing events occurring that will definitely give the audience a lot to talk about, such as the “what would you do if that happened to you” type of scenarios so it will be very interesting. I’ll be focussed a lot more on fitness this year and the overall benefits of being fit for the right reasons and not how I was portrayed as endorsing it in the last season (chuckles). I think the body is like an investment and if you don’t watch what you put into it you are going to reap what you sow at the end of the day so I am just focussed on the continual education and practice of good health and fitness. Fitness is more than weight, it’s a mind, body and spiritual experience and so I am creating a new fitness program that explores the root of how we get to places we are in when dealing with weight loss and trying to find out ways of combating that. So I am busy with that and excited to share that with everyone. Your mantra is looking good to feel good and you are always looking good Dr Jackie. Who are your favourite designers at the moment that you enjoy wearing? I love Roland Moray, Alexander McQueen and crazy enough I am learning to love Victoria Beckham. The reason I say that is because her dresses are probably made for probably not such a hippy kind of girl but she probably expanding her material I guess because I have been buying some of her dresses and I like her stuff a lot. It’s very , simple chic elegant, cause you don’t need a lot to have a statement piece so I love her stuff I just I could get into more of it ( laughs). Your greatest inspiration in this life and why? God comes first and the more mature I’ve become I’ve realised it’s much higher than me and that my purpose in life is really to give back. If I don’t make a difference then my time on earth has been in vain.